REX Tillerson has been fired as America's Secretary of State and will be replaced by CIA Director Mike Pompeo. 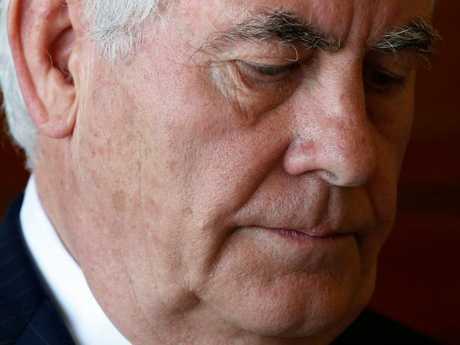 The president announced the sacking of his top diplomat - the equivalent of Australia's foreign minister - over Twitter, which is reportedly how Mr Tillerson learned of his fate. "Mike Pompeo, Director of the CIA, will become our new Secretary of State. He will do a fantastic job!" Mr Trump tweeted. "Thank you to Rex Tillerson for his service!" he added. 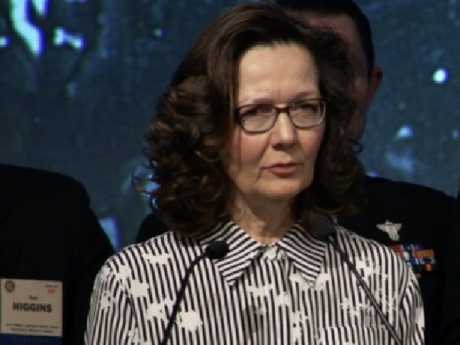 The US president announced the appointment of Gina Haspel to head the Central Intelligence Agency - the first woman tapped for the post. Mr Trump told reporters he made the decision to oust Mr Tillerson "by myself." 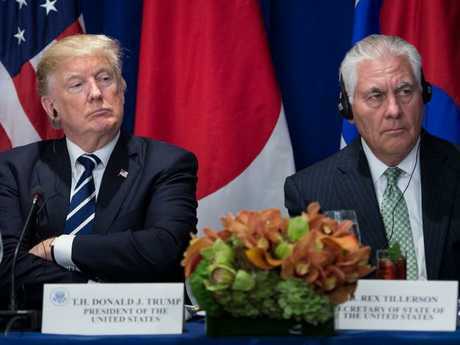 He added that Mr Tillerson will be "much happier now," acknowledging the fact that the pair had butted heads on a number of issues. "We've been talking about this for a long time ... We disagreed on things ... The Iran deal ... So we were not thinking the same," Mr Trump said. The US President said he and Mr Pompeo shared "a similar thought process" and that his new appointment was a man with "tremendous energy, tremendous intellect" and that "we're always on the same wavelength". CNN reports that Mr Tillerson was told on Friday while he was travelling in Africa that Mr Trump wanted him out. The undersecretary of state for public diplomacy, Steve Goldstein, released an extraordinary statement saying Mr Trump never explained to Mr Tillerson the reason why he was fired. "The Secretary had every intention of staying because of the critical progress made in national security," Mr Goldstein said in a statement. "The Secretary did not speak to the President and is unaware of the reason, but he is grateful for the opportunity to serve, and still believes strongly that public service is a noble calling." Hours later, the White House fired Mr Goldstein by phone. He had been in the role only three months. Rumours had been swirling since late last year that Mr Tillerson would be departing. A senior administration source said Mr Trump had decided on the ouster to "have his new team in place in advance of the upcoming talks with North Korea and various ongoing trade negotiations". Mr Tillerson had last week appeared blindsided by Mr Trump's historic decision to meet with North Korean leader Kim Jong-un. Mr Tillerson, the former head of ExxonMobil, reportedly called Mr Trump a "moron" after a July 20 meeting with the US president. He has refused to deny making the comments despite numerous opportunities. Mr Trump and Mr Tillerson have been out of step on a number of issues including the Iran nuclear deal, North Korea and Russia. 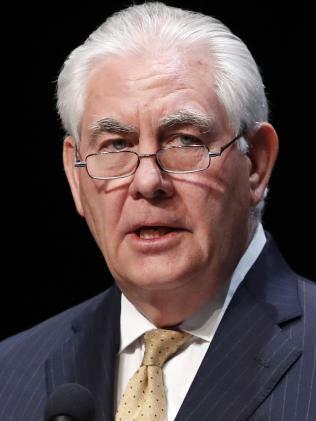 Mr Tillerson, who had a close relationship with Russia and Vladimir Putin during his time with ExxonMobil, was the only one in the administration yesterday who said Russia was "clearly" involved in the poisoning of ex-Russian spy Sergei Skripal and his daughter, Yulia, in the UK. Former White House press secretary Sean Spicer put out a tweet, calling Mr Tillerson "a true patriot". "Secretary Tillerson is a true patriot that has severed (sic) our nation well. Thank you for serving. 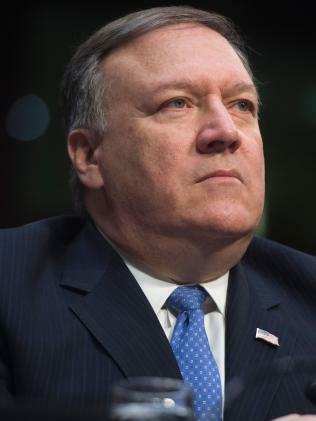 Mike Pompeo will be an outstanding Secretary of State - the Senate should act swiftly to confirm him," he wrote. Speaking to reporters hours after being unceremoniously fired by Mr Trump in a tweet, Mr Tillerson says he will be formally stepping down from his post at the end of the month and will be delegating his responsibilities at the end of the workday today to Deputy Secretary of State John Sullivan..
Mr Tillerson also called for an orderly transition to Mike Pompeo, the CIA director whom Mr Trump has designated as Mr Tillerson's successor pending confirmation by the Senate. He encouraged State Department employees to remain focused on their jobs. Mr Tillerson's firing comes a day after the mysterious departure of Mr Trump's longtime personal aide and body man Johnny McEntee. Mr McEntee, who worked closely with the Trump family members of the White House, will join the president's campaign team for the 2018 midterm and 2020 presidential elections. His appointment was announced alongside that of 2016 campaign spokesman Katrina Pierson. Both will serve as senior advisers. "As we build out our operations for the 2018 midterm elections and the 2020 re-election campaign, we are pleased to welcome back two outstanding members of our 2016 team," campaign manager Brad Parscale said. "We need the help of proven leaders such as Katrina and John to promote the President's growing portfolio of achievements across the country." 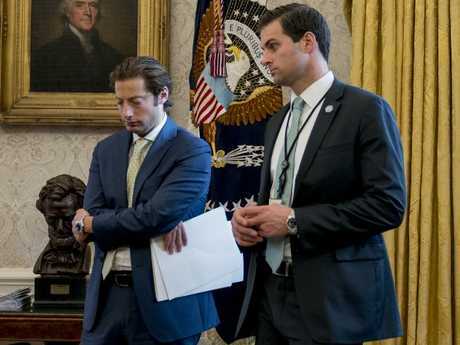 Mr McEntee, a former University of Connecticut quarterback and star of a viral YouTube trick-throw video, has been with the president since day one. CNN reported that the former teetotalling alter boy was fired and escorted out of the White House after it emerged that the Department of Homeland Security was investigating him for serious financial crimes. Mr McEntee was not allowed to collect his belongings when he was escorted from White House grounds. He left without his coat. Spokeswoman Sarah Sanders declined to comment saying "We don't comment on personnel issues." Mr Trump is not the first Republican president to fire his secretary of state. 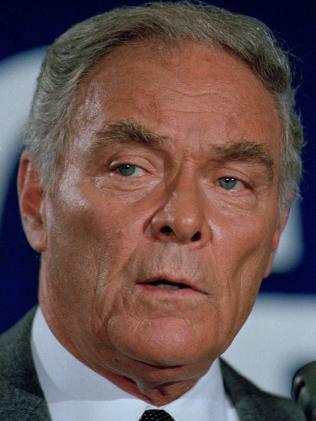 Alexander Haig was fired by Ronald Reagan about a year after the assassination attempt on the president. After Reagan was shot, Mr Haig reportedly said "I am in control here" as a result of Reagan's hospitalisation, indicating that, while Reagan had not "transferred the helm", Mr Haig was in fact directing White House crisis management until Vice President George HW Bush arrived in Washington to assume that role. The US constitution though states that the Speaker of the House and the Senate President proceed the secretary of state in the line of succession. 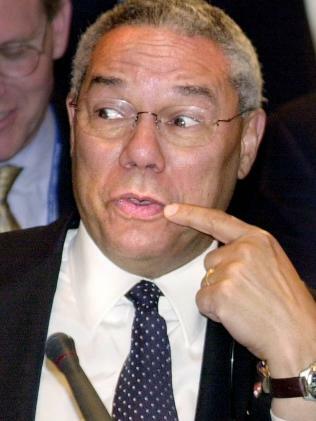 Colin Powell became President George W. Bush's secretary of state in 2000, but resigned in 2004 after acknowledging his defence of an Iraq invasion was based on faulty information. WHO WILL BECOME TRUMP'S NEW ECONOMIC ADVISER? Mr Trump said he's strongly considering selecting CNBC senior contributor Larry Kudlow to succeed Gary Cohn as his top economic adviser, praising the veteran financial commentator and campaign supporter. Mr Trump told reporters that he was "looking at Larry Kudlow very strongly" and noted that while he and Mr Kudlow didn't agree on the president's recent decision to impose tariffs on steel and aluminium imports, Mr Kudlow's views would be helpful to him. 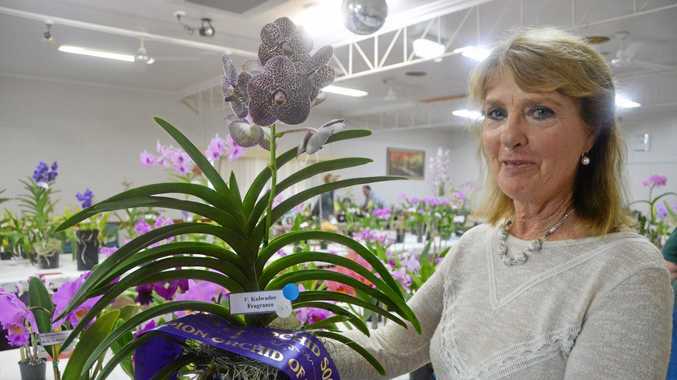 "I think Larry has a very good chance," Mr Trump said. 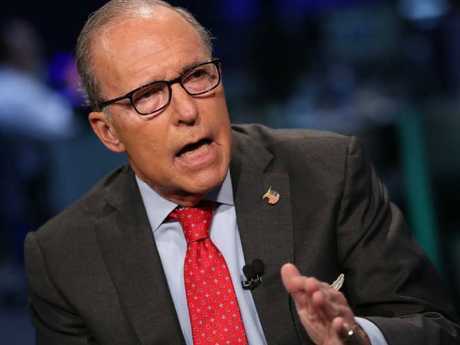 He noted that Kudlow, an advocate of free trade, is a longtime friend who had been an early supporter of Mr Trump's 2016 presidential campaign. Mr Kudlow is CNBC's senior contributor and was previously the host of CNBC's prime-time show The Kudlow Report. He served in the Office of Management and Budget during President Ronald Reagan's administration. In addition to Mr Kudlow, potential successors include Chris Liddell, who serves as the White House's director of strategic initiatives, and Shahira Knight, Gary Cohn's deputy at the National Economic Council and a key architect of the president's tax overhaul law. 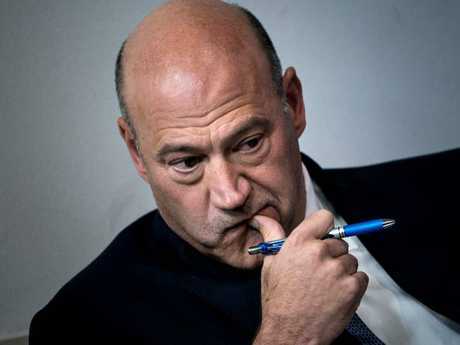 The president said last week that Mr Cohn, the former top Goldman Sachs executive, was likely to return to his administration in the future. Mr Cohn strongly opposed the president's plan to slap tariffs on steel and aluminium imports and worked to provide exemptions to US allies such as Canada and Mexico. Mr Cohn played a central role in helping Mr Trump enact a sweeping tax overhaul law, co-ordinating with members of Congress. His departure has been worrisome for Capitol Hill Republicans and business groups who have been concerned that Mr Trump may install more protectionist economic policies amid a renegotiation of the North American Free Trade Agreement.